"S.A. Cheney 1883 - 1968"
"From an early childhood I resolved to equip myself for something better than a labourer's wages; to rise from the ruck of poverty to a higher standard of living. I was determined to learn all that I could. My goal was to earn my own living as soon as possible." Cheney worked very hard at school and passed his exams for his Compulsory Certifacte in July 1895 enabling him to leave school. His frist job was as a farm hand at 4/- per week 20 miles from town in the Adealide Hills. Seeking employment back in Adelaide, Cheney found work in a grocer's shop and then later a fruit shop owned by Mr. Davis at North Adelaide. Cheney assisted Mr. Davis with his rounds including the bookkeeping for 8/- per week including board. It was not long before Cheney's natural business acrument showed and he was left with all of the books. Cheney worked hard bringing all of the books up to date, found the business was losing money, started sending out accounts and managed the outstanding debts. Mr. Davis opened a second shop at Lower North Adelaide where Cheney now managed the business. Whilst living at North Adelaide with the Davis family Cheney joined the Young Men's Bible Class at the local Baptist Church that he was attending in Tynte Street. It was here that he became secretary and met other local businessmen. The Reverened A. N. Marshall, leader of the parish convinced Cheney to further his studies. This he did with Cheney studying fitting, turning, drawing and accountancy at Adeliade's School of Mines. At the local YMCA he took extra classes in commercial law. During his time with Mr. Davis he rarely gave Cheney time off and had not increased his wages for 6 years. After all of his hard work and making his fruit business viable, Cheney was becoming frustrated with his employer. By May 1903 Cheney had completed his studies and truly belived he was destined for better things. Cheney saw Mr. Davis and resigned his position. Mr. Davis was devastated and offered Cheney one of his business valued around £700, but it was too late as he had made his decision. The next day Cheney placed an advertisement in the local paper offering his services free for 3 months to anyone that could offer him a more suitable postion. In 1903 James Duncan undertook another overseas trip to Great Britain and America. What he came back with would be the foundation of changes for Adelaide that would last until the present day. What attracted the Duncan brothers to answer Cheney's advertisement is an unaswered question. However, they sent thier office boy Fred Mann out to Mr. Davis's shop with a letter inviting him to call and see them. Cheney could hardly contain his excitement as Duncan & Fraser were held in very high esteem around Adelaide and he wasted no time in accepting thier invitation. Each of the Duncan brothers interviewed Cheney at length. He had to go back three days running. Eventually after much discussion he was offered a staff position to sell Oldsmobile automobiles and he accepted. Thus the first automobile agency complete with its salesman was ready for business. The dawn of the automobile was about to rise in South Australia. Cheney was faced with a daunting prospect. Who would want an automobile? The automobile itself provided the answer. It was always ready to move and did not need to be stabled, it did not require feeding when not in use and dispensed with harnessing and the like. The cost was expensive and rather fortunate clients would have to be sought. The answer was the medical profession. Armed with the Oldsmobile catalogue and a bike, Cheney peddled around professional people drumming up interest. Nearly all of them agreed to call on Duncan & Fraser when the cars actually arrived. “At the end of my first week with Duncan & Fraser a clerk from the office handed me a pay envelope containing £2. As I had undertaken to give three months’ service for nothing, I assumed a mistake had been made in the office, and took the money back to the cashier. His expression when told of the salary arrangement was something between a smile and a grin. He did not take the money back, but referred me to James Duncan. That kindly gentleman assured me that there had not been a mistake. My offer, he said, had been appreciated, but he and his brothers had already decided that my services were well worth £2 a week. They were pleased with the earnest and methodical way I had gone about my work and were confident that I should make a success of my job as the State’s first motor car salesman”. The first "Curved Dash" Oldsmobiles priced at £180 arrived 23rd September 1903 with the first one being delivered on the same day. The wooden crates complete with an anxious audience waited eagerly as they were unpacked. Each Oldsmobile came with an instruction book. One of the curious spectators was Fred Mann. Fred recollected the scene many years later. Dr. J.B. Gunson was the first person to take delivery of Duncan & Fraser’s first Oldsmobile car. The remaining cars were unpacked and put on show at the factory where they caused quite a stir. Richard Duncan and two mechanics drove the “novelty” around the city on demonstrations. The Oldsmobile continued to open the doors and sell well. The automobile side of the business was thriving with Cheney being kept busy visiting prospective customers. The Dunlop Reliability Trial was organised between Melbourne and Sydney in 1905. Cheney and Duncan & Fraser wanted very much to enter the trial to raise the profile of the company and the cars they were selling. They imported a huge 20HP Oldsmobile especially for the trial. Richard Duncan and Cheney were the drivers. The car was the first of its model and did not come with any spare parts as requested. However, they still participated in the rally. On the fifth day out they were in very high spirits to see the outskirts of Sydney without the loss of a single point. Six miles from the finish line and possible victory a drive chain broke. In spite of the mechanical failure, both the car and the company had put on a great show. In 1905 Duncan & Fraser adopted the Scottish made Argyll. The Glaswegian built Argyll was very robust, larger in size and more powerful. The initial cars were the 10/12HP-twin cylinder model, 12/14HP, 16/20HP and an enormous 40HP four-cylinder model. The price was far more expensive ranging from £550 to £800 each. Not long after Duncan & Fraser had accepted the agency, Mr. Russell Grimwade drove the first car from Melbourne to Adelaide and return through the notorious Coorong. The 10/12HP Argyll performed flawlessly. Feats such as this made Cheney's job of selling Argyll's much more easier. Duncan & Fraser and in particular Cheney targeted the rich wheat belt of the Yorke Peninsula. By now Duncan & Fraser were accepting not only horses and buggies as trade ins, but now out of date cars and even parcels of land. Cheney had some original strategies for selling the automobile. One in particular is the use of the telephone. Responding to the loneliness on these early farms, rather than pressuring the farmer for a car he presented the idea of installing a telephone. These social fibres being built would eventually lead to these families wanting to meet each other more regularly and hence the opening for a potential sale. With the women on side, the choice of whom to buy an automobile from was made very easy, Cheney representing Duncan & Fraser. In the summer of 1907 SA Cheney arranged a picnic for Argyll owners at Maitland on the Yorke Peninsula. The cars drove to Edithburgh about 55 miles away where a lunch and sports day had been arranged. Each Argyll owner was asked to keep a spare seat empty for a passenger of Cheney’s choice. Of course each extra passenger was a potential customer. 36 cars attended in total, 34 Argylls and 2 other makes. Cheney sold 7 Argylls that day at £650 each! 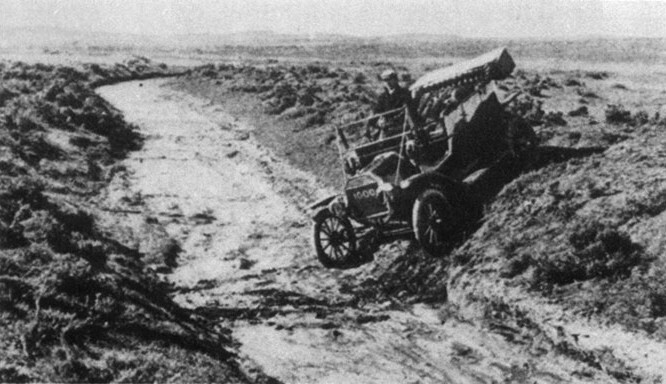 Also in 1907 SA Cheney drove an Argyll up the side of the Blue Lake crater in Mount Gambier. A 14/16HP Argyll had been sold to H.P. Crittenden and he allowed Cheney to use his car for the demonstration on condition that his company indemnified him of loss or damage. Duncan & Fraser’s agreed. A lad was employed to follow the car up the hill with a big piece of wood. The idea being that if the car stalled, the lad could place the wood behind the wheels to stop the car from rolling backwards. The Argyll only stalled once on the upward trip. At the summit Cheney then turned the around and drove it back down. Now living at a cottage in Ward Court, North Adealide, Cheney spent Sunday evenings at Church where he reaquainted himself with a freinds sister from Mount Barker. Cheney was smitten by this girl and finally asked the big question to which she agreed. On 4th May 1907 Cheney married Marjorie Olive Fidler at the Baptist Church, Mount Barker. Richard Duncan and his wife attended the wedding. Duncan & Fraser loaned the Cheney a Humber car for thier honeymoon. By 1907 Cheney had now risen to the highly respected position of Head Salesman and Duncan & Fraser's new 2 storey factory was finished complete with the new Standard car agency. Although the first 6 cylinder Standard did not arrive until September 1908 which was a few days late for the company’s stand at the Spring Show, the Standard was the first 6-cylinder car to be imported into South Australia. Duncan & Fraser and Cheney were now in a position to offer a range of cars from a twin cylinder Argyll right through to the 6 cylinder Standard. Only a month before a new car agency was available. Mr. Durance of the newly established Ford Office in Melbourne visited Adelaide and immediately targeted the prominent firm of Duncan & Fraser in August 1909. Durance called on the Duncan brothers and offered them the Ford agency for South Australia and Broken Hill. As a show of confidence in his product he left 2 cars as samples. The Ford worked out to just £310, about half the price of its competitors. The Duncan brothers spoke to their head salesmen about the option. Cheney was not impressed. The Duncan brothers were in conflict with their head salesman and stalled on a decision. Eventually came the ultimatum that if Duncan & Fraser did not want the Ford agency then it would be offered elsewhere. The Duncan brothers again discussed the matter with Cheney and asked if he had reconsidered his opinion as the Duncan brothers had accepted the offer. Duncan & Fraser were now the official sole agents for the Ford motorcar in South Australia and Broken Hill. Again Cheney was not impressed. The Duncan brothers knew that Cheney was not bluffing and that his decision was not taken likely. The Duncan brothers would not accept Cheney’s resignation, so a compromise was sought. He did not have to sell Ford cars. He could stay on the other car makes and leave the Ford cars to other members of the staff. However, the Duncans were convinced that Cheney's opinion was wrong. The Fords first showing was at the little town of Balaklava. Duncan & Fraser travelled the 60 odd miles north of Adelaide for their local show. Robert Duncan and Cheney helped man the display that included a fine array of buggies, two Argylls and the newly acquired Ford. At the Balaklava show one of Cheney’s friends Bob Longmore asked about a new automobile. Cheney picked out an Argyll as the most suited to his needs. As he was about to sign Bob inquired about the new Ford. He had made a recent purchase of some land and the lower price was a consideration. Cheney would not deal with the Ford and politely introduced Bob to Robert Duncan. Bob became upset and accused Cheney of trying to sell the more expensive car with the higher commission. Bob had seen he had upset his friend and explained that the new land was ungraded and that he did not want to take such a fine car as the Argyll through the scrub. However he did not want the cheaper car if was not good enough to do the job. Bob Longmore asked Robert Duncan for a trial run up to his property. Robert agreed and the necessary arrangements were made. Next stop was Morgan, town about 50 miles further north on the River Murray. About 40 miles outside of Kapunda following the railway line the front right-hand wheel came off! Cheney’s first impression was the car had fallen to pieces. To his amazement there was no apparent damage to anything other than a broken rear wheel. Cheney put his party on board a train for Morgan and asked them to wait there for him whilst he repaired the Ford. Walking a few yards Cheney collected his front wheel and the bearing. The nut had not been properly pinned and had worked loose. Using nails Cheney properly refastened the nut. Checking the other side he found the same problem. The car had been poorly assembled. The broken rear wheel was another issue. Cheney walked about 2 miles back along the railway to a siding. He persuaded the stationmaster to send a telegram to Duncan & Fraser asking for a rear wheel to be sent to him. It arrived at 2 o’clock in the morning on a goods train, but it was for an Oldsmobile and not a Ford. After walking and working all night, Cheney grafted the Oldsmobile wheel into the Ford rear hub and just 24 hours later set out for Morgan and his passengers. They were amazed at what they saw as had Cheney only lost a single day but also driving the same car. The party continued on to Renmark another 80 miles further on and stayed overnight. By the end of his trip he returned to Adelaide with another 13 orders for Ford cars and Cheney dropping his prejudice against the Ford. In 1908 there was 429 vehicles registered in South Australia. By 1910 there was 1,376 vehicles registered, a significant number of these were now Fords. Duncan & Fraser had not even begun to service the other part of their agency in Broken Hill, New South Wales. Cheney suggested to the Duncan brothers that he would like to drive the 650 odd miles round trip with a Ford. Cheney drove up through Burra to Peterborough. From there he followed the railway line to Broken Hill. The Ford made Broken Hill in a little more than a day and a half. When he got there the local show was in progress. Cheney approached the show’s organisers and was allowed to drive the Ford around the banked up cycle track around the arena. Cheney drove the Ford for 3 laps at about 34 mph before the police stopped him for going too fast! By the end of the trip Cheney had arranged with 10 buyers to invest £500 each in a company. Mr. Woodman, a local bicycle man with a good mechanical knowledge headed the newly formed company of Woodman Motors, Ford Agents. With a paid up capital of £5,000 suitable premises were sought to house the new company. A fine single story building of 40,000 square feet was ideal. Private orders were taken for 36 Fords and another 6 cars ordered for the new agency. Cheney would make many trips to Broken Hill. In 1908 a Humber set a record of 21 hours and 50 minutes. The photo above shows Cheney on such a trip in June 1911. In 1913 Cheney drove a record trip from Adelaide to Broken Hill in 13 hours and 55 minutes which included opening and closing 98 stock gates. “There was no doubt in my mind that the proposition set out in the prospectus was sound, and I felt that if the firm would entrust me with the disposal of the shares in the new company I could sell them as readily as I had sold cars: after discussing the matter with the Duncan brothers, they agreed to let me take over the sale of the shares. To show my confidence in the new company I began with my sales campaign by investing nearly all of my savings in shares - £2,000 to be exact. The first essential of salesmanship is to inspire confidence, and that practical demonstration of my own faith in the venture helped me to convince others. Within three weeks the 50,000 shares were sold, most of them to my friends in the city and country. I did not receive one penny for the sale of those shares, nor any compensation for the loss of commission on cars I could have sold during the three weeks I devoted to the sale of shares – but that did not worry me. My heart and soul were in the business, and my one wish was to see it go ahead. Also, I had taken a longer view with an objective of my own in mind. There was an understanding that the Duncan brothers would be directors of the new company, but it was stated in the prospectus that one director should be appointed by the outside shareholders as their special representative on the board, and being by far the largest outside shareholder and having practical knowledge of the business, I felt that directorship could be mine. I thought that as I had invested most of my savings in the company, it would be fitting and reasonable for me to be given a seat on the board. I had expressed my desire in this regard when selling the shares to friends, and was assured of their unanimous support should it be needed, but when I mentioned the proposal to the Duncans, they laughed. They were good-hearted men, but they belonged to the old school of employers who never rid themselves of the ‘master and man’ complex. In the narrow ways of the times they were good employers, but considered themselves masters of those who worked for them, and held the line of demarcation between themselves and their employees. As such, they laughed in my face when I suggested that I should have a seat with them on the directorate of the new company, which was to still bear their name. They made no attempt to conceal the fact that such a thing to them was quite a joke. Towards the end of June 1913 an interesting snippet in the local paper caught Cheney’s attention. The Dodge Brothers had notified Henry Ford that they intended to stop making the mechanical components for the model ‘T’. They intended to build their own car. As Cheney’s request had been turned down for a directorship, he no longer saw himself as an indispensable member of the company. After much correspondence to the infant Dodge Motor Company, Cheney was in a position to resign his £1,000 per year plus sales position at Duncan & Fraser Ltd. In July 1914 Cheney left to go to America and try to obtain the Dodge agency for South Australia. Interestingly Robert Duncan had made the trip to America to apply for South Australian rights of Dodge cars. After much perseverance Cheney was successful and in October 1914 he was made the official Dodge representative for Australia and New Zealand. Unfortunately for Duncan & Fraser Ltd. Cheney intended to manage South Australia and Broken Hill himself. Cheney floated the Cheney Motor Co. Ltd in 1915 to sell the Dodge and had grown to 130 employees by the follwing year. In 1917 the Federal Government imposed a wartime ban on imported complete cars but allowed unrestricted entry of chassis. Cheney approached H.J. and E.W. Holden of Holden & Frost and convinced them to not only build Dodge bodies nationally but to form a new company, Holden Motor Bodies Ltd. In 1920 Cheney took up the Chevrolet agency leaving his Adelaide company and founding S.A. Cheney Pty. Ltd. in Melbourne. In 1922 in South Melbourne he set up the first assembly line in the Australian motor industry, some 2 years before Duncan & Fraser Ltd. with the Ford. In 1926 Cheney switched to selling Austin and Morris cars, launching an advertising campaign to 'Buy British and be proud of it!' Cheney even persuaded Lord Nuffield, owner of Morris cars to visit Australia to see why his cars were unsuited to local conditions. In 1932 Cheney took an agency for Vauxhall cars and Bedford trucks, which he continued until the late 1950s when he finally took a Holden agency. In 1965 cheney published his autobiography "From Horse to Horsepower" from his home in Adelaide. On 22nd April 1968, 'SA' from 'SA" passed away at Toorak in Melbourne aged 85. He was survived by two sons and a daughter. Australian Dictionary of Biography: "Samuel Albert Cheney"